The Car Opening service covering London and the Home Counties, telephone us on 0208 800 6041. 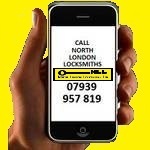 NORTH LONDON LOCKSMITHS LTD. offer a Car Opening service covering the whole of London and the Home Counties. Our fully qualified engineer will open any car lock for you, including Mercedes and BMW's at a fair and reasonable price any time day or night. THE CAR OPENING SERVICE OF LONDON AND THE HOME COUNTIES...ANY CAR...ANY TIME. Our Locksmith is waiting for your call to open your car door lock or your boot lock, keys are nearly always left by accident in the boot of a car, he will go anywhere in the London or Home Couties area. Offering a fast and practical service, to get you out of trouble. CALL US...YOU WILL NOT BE DISAPPOINTED. TELEPHONE US ON THIS NUMBER TO SPEAK TO A MEMBER OF OUR STAFF. If you would like to know more about our Car Opening service or would like a price on opening a car, follow this link to our get a lock quote.